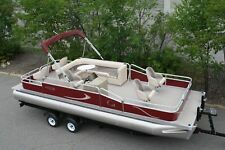 Grumman pontoon Boat, 20 foot with trailer and low time motor. 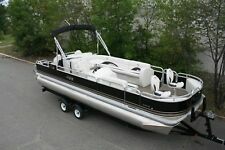 New 14 Ft pontoon boat---- Cruise model or fish model available. 2018 Forester Pontoon Boat! NEW!! 2019 Forester Pontoon Fish & Cruise NEW!! 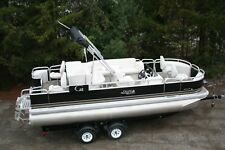 2016 BENNINGTON 2575 QCW WITH 380 HP I/O MOTOR!